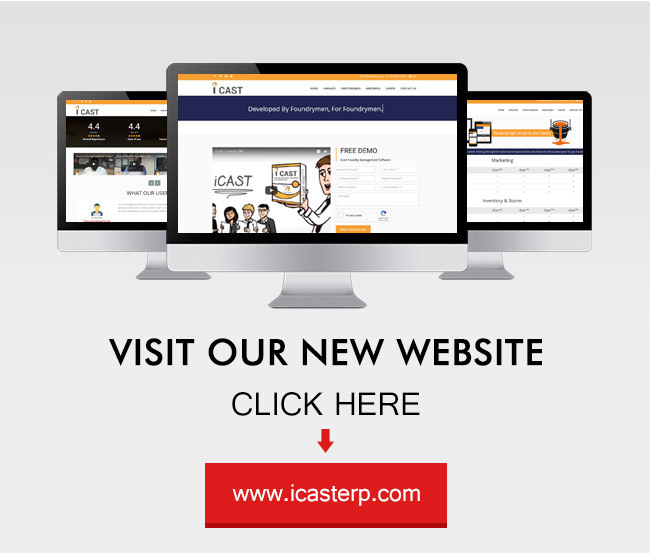 Our software solutions for foundry industries- ‘iCast’, iCastPRO & iCastENTERPRISE are developed under the consultation of leading foundrymen, foundry professionals and management consultants. It has successfully implemented and working in various foundries. In a very short time span iCast has been very popular and favorite Foundry Software for production and management among the foundries. Smart analysis reports and BI reports generated by iCast has been proven enormous help to foundry owners and managers in overcoming challenges like data capturing and analysis of the data and taking business decisions. This software provides solution to almost all the basic day to day needs and requirements that arises in a foundry. It covers all the major functionality of the foundry industry. So, what makes iCast so special? And why? ERP is developed exclusively for foundry industry. Usually people take readymade software and then try to convert it according to the foundry industry. Statistics says that such softwares are not successful in the industry due to the complexity of the foundry process. Using iCast one user can send reminders to other user. Note : Our charges are per license based, not on number of users you create.